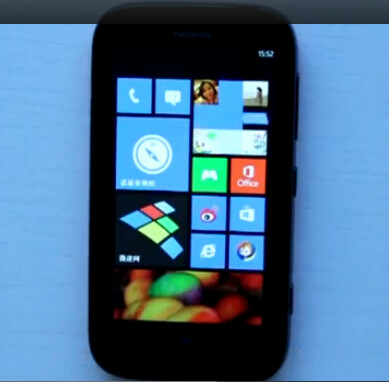 The video we showed you Saturday of a Windows Phone 7.8 powered Nokia Lumia 510 in China was just the beginning. 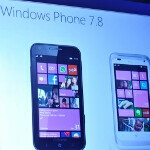 Now comes speculation that the Windows Phone 7.8 update will be launched on Wednesday, November 28th. This is not a firm date, obviously, but with Windows Phone 8 already released, those hung up at Windows Phone 7.5 have been hoping for the download to come ASAP. Probably the new start screen that the update brings is the most anticipated feature on the new OS build with the new live tiles offering three sizing options. Other changes include new accent colors, the Bing lock screen wallpaper, twenty new themes, IE security updates and the ability to produce a ringtone using MP3 files. Those with Nokia phones will be able to produce draft versions of SMS messages and will have the ability to keep Wi-Fi running even when the phone is suspended. The period between Thanksgiving and New Year's Eve is usually festive and here is one extra thing for some Windows Phone users to feel good about. WP7.8 will remain using IE9 mobile. It will not get IE10 mobile. Yeah, I'd still be waiting for the Windows Mobile 6.5 upgrade if ONLY I had kept that Windows Mobile 6.1 smartphone back in 2009. Nevertheless, progress at Microsoft is best measured and compared to the formation of the Milky Way. Nice to see 7.5 users getting some love even though they are getting the full features running on Windows phone 8. What are the "twenty new themes"? Windows phone themes are actually diferent colours available for the tiles. Can't wait for the new update. Let's hope it will be released this wednesday! Really? I thought that was the accent colors? If this is true then i will be VERY VERY VERY HAPPY !!! Nokia phones will be able to create SMS drafts? I can't even do that on my 920...im assuming this is bad info or something. Also, listing new colors and then 20 new themes in the same sentence is misleading. The theme selection is exactly the same, light or dark. There are twenty colors but some are old. Not in the US. The only country that matters. it's Wednesday and no update available yet...why is microsoft doing it to us? why? !